Exclusively Ours! An Allan Robin Design! Lead & Nickel Free!! 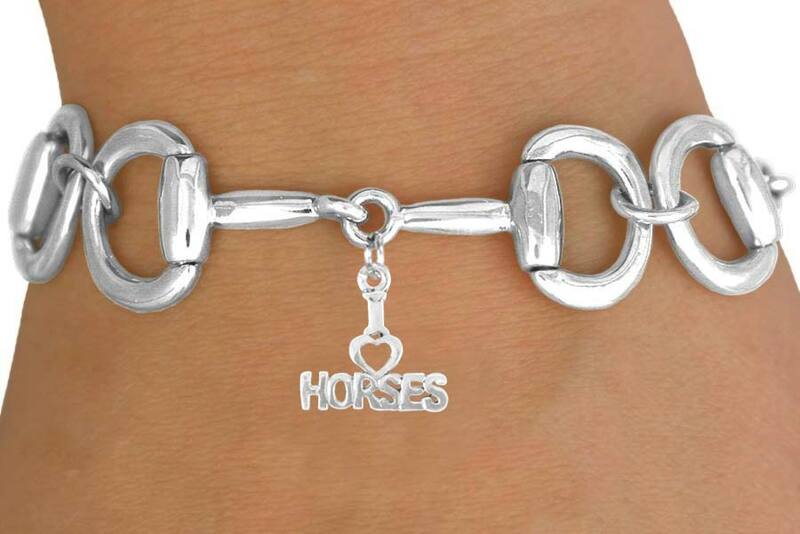 Silver Tone Bit-Link Toggle Bracelet Suspends An "I (Heart) Horses" Charm.